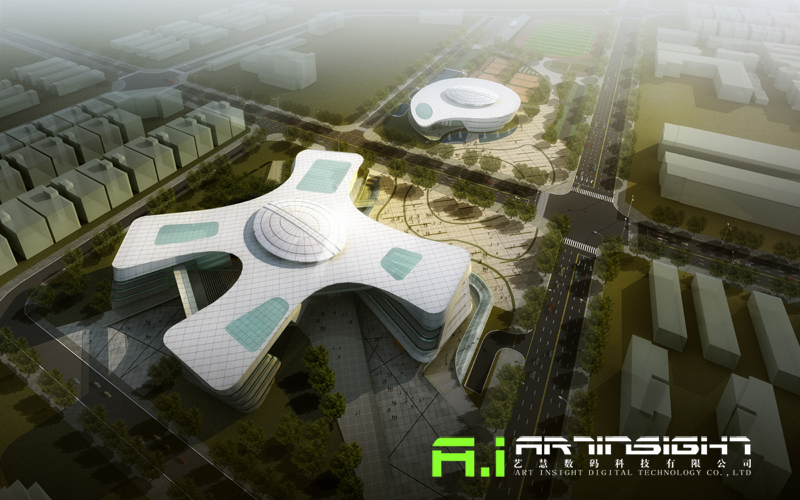 This is a rendering for an art center in China. Processed by 3d max, vray. Is it a 3d model of a real Building or just a concept? It looks nice and futuristic. But the white effect on the upper part of the picture ruins the other buildings. I think it would be better if you take it out. Awesome render! How long did this take to model? I saw the same, but I think the futuristic part made it pretty awesome. I like how futuristic it looks. Great work on this!